Powerbrake designs and manufactures high-performance and motorsports level brake components that offer exceptional performance and durability at surprisingly competitive prices. This is made possible through state of the art CAD, FEA and CAM software as well as cutting edge 5-axis CNC production equipment that results in design and production efficiency that gets passed on to customers and ultimately translates into competitive product pricing. 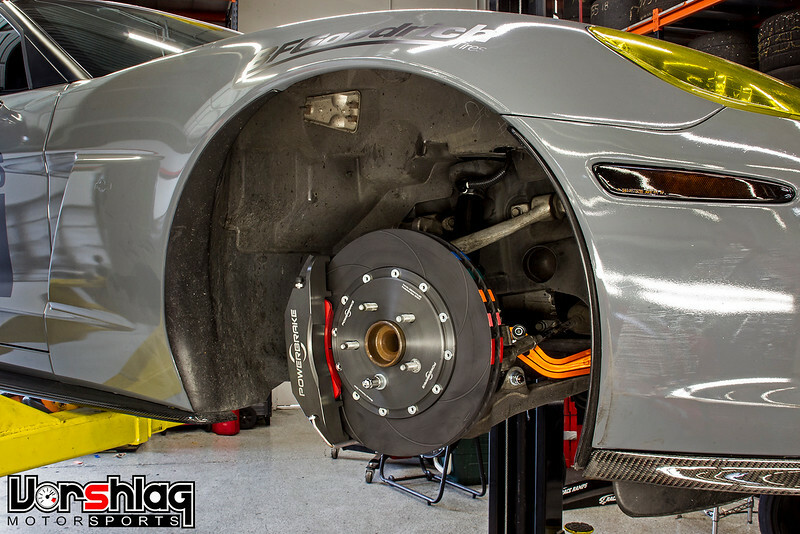 Powerbrake's base of operations is South Africa, and Vorshlag has worked with this company since they first brought their products to the U.S.A. We tested Powerbrake's upgrade kits on our own street and race cars before we felt confident to sell them - we now trust our brakes to Powerbrake! 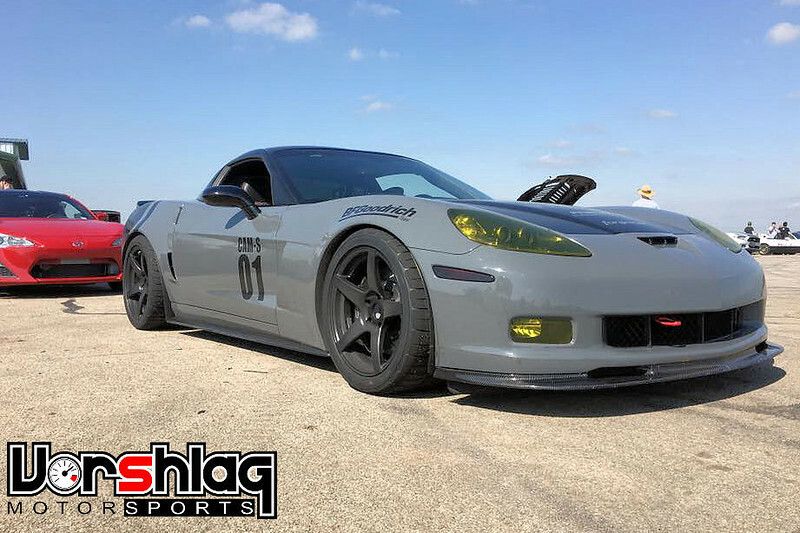 Powerbrake's X6EL front brake upgrade kit for this C5 / C6 chassis is one we have tested extensively here at Vorshlag on one of our testers car, Feras Qartoumy's 2008 C6 Z06. 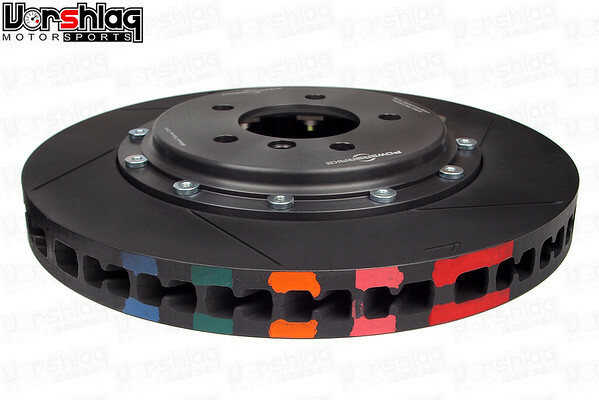 This Powerbrake kit is made to replace the front brake components on the C5 / C6 chassis - rotors, calipers, lines, and brackets. The engineers at Powerbrake have designed this kit so that when using the factory rear brakes and master cylinder, hydraulic ratio and pedal travel will not be affected. 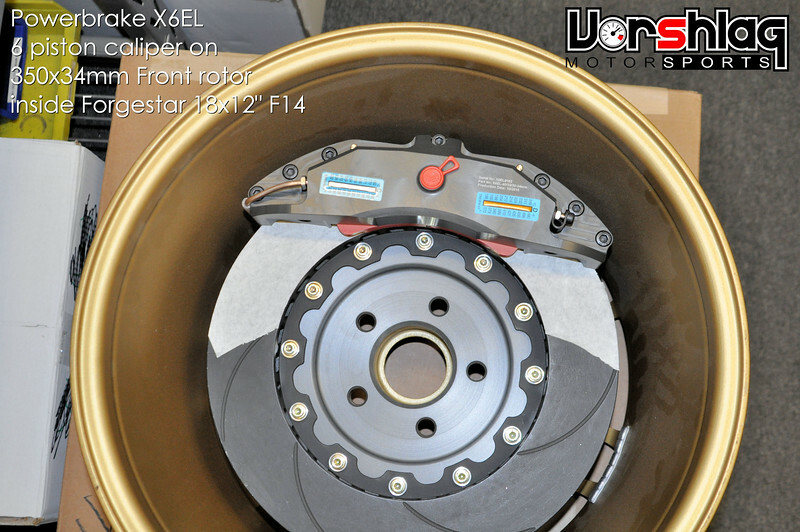 There are many advantages of the X6EL 6 piston brake kit over the stock Corvette brakes. We often see that with motorsports grade components your cost per lap will go down. True racing calipers look after the pads and rotors better than the OEM calipers with track pads. This means you will see drastically improved brake performance, with less wear, for a longer period of time. We have found that the stock PBR calipers on the Corvette can spread over time due to heat, the caliper itself fatigues. The Powerbrake calipers are built with strength in mind and do not suffer the same fate as the OEM PBR caliper. Another great benefit is a slight reduction in unsprung weight. Note that even while upgrading to larger 2-piece Powerbrake 350x34mm rotors and massive 6-piston fixed calipers, this brake kit still dropped roughly 5 pounds compared to the factory PBR calipers and rotors. The change in braking feel and performance was massive - more than we thought possible. This brake package will not fit under stock wheels. If you have aftermarket wheels that currently fit over the C6 Z06 calipers, than chances are good they will fit over this brake kit. We can supply you with a brake template to verify fitment. Uses FMSI D1116 pad profile. Brake pads are not included! Brake pads are available from Powerbrake and a number of other companies. Please call Vorshlag for brake pad selection help. The disc friction rings used in Powerbrake X-Line assemblies are cast from a proprietary high-carbon iron alloy, cast in Europe, that provides excellent durability and stability under the high thermal loads experienced during race, track day & fast road driving. This Powerbrake X-line brake upgrade does not include pads - to allow you to choose the brake pad supplier you are comfortable with. Some folks like to stick with what they know, and that is why the common FMSI D1116 pad profile was used for this caliper - many pad suppliers make this common pad shape. You can see part numbers for this pad from several brake pad manufacturers in the drawing below. ﻿Powerbrake also offers a range of brake pads to fit the X6EL caliper, which cover all types of street, dual purpose, and racing uses. 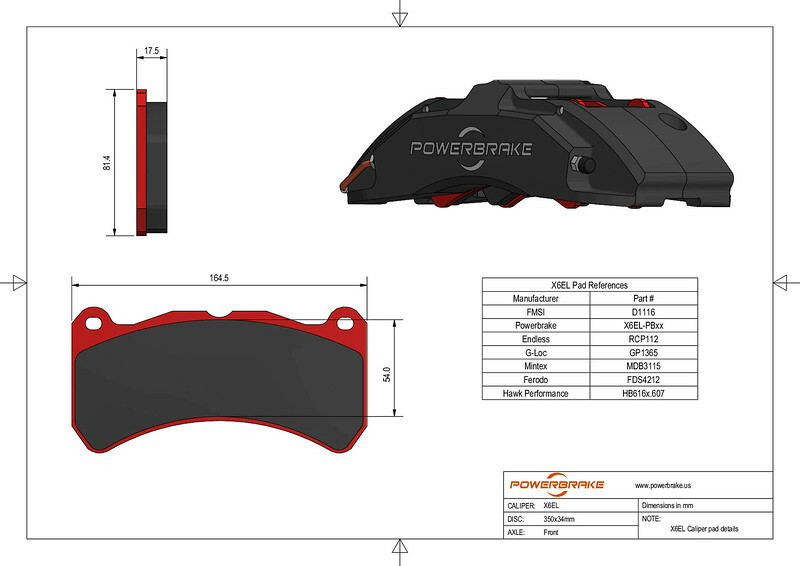 Please see the brake pad options for the Powerbrake X6EL caliper in this "Brakes" section. Feel free to call Vorshlag for pad brand and compound advice.